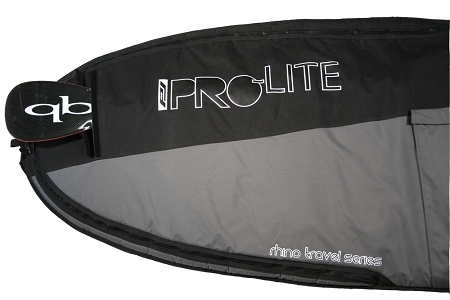 The Rhino SUP Board Bag is made to put your mind at ease while your traveling with your Paddle Board!! The 10mm of foam may even protect it from abusive airline employees! The padded shoulder strap makes carrying your SUP through airports or hotels a breeze and the new graphics will have you traveling in style. No expense was spared in the construction and design of these SUP travel bags. Check one out, the Rhino SUP bag wont let you down!! Need protection for your Stand Up Paddle? Don't forget to check out our Paddle Bags too!! -Designed for the Paddle Boarder traveling with one board. - Collapsible gusset with Velcro closure. -600 Denier STORMPROOF Poly and 10mm foam. -Molded rubber handle for extra durability.